FBOs, or Fixed Base Operators, are an integral component of the private jet experience— offering an array of services for customers, aircraft and crew. Pilots, working in business aviation, arrive and depart from FBOs so frequently that they begin to easily distinguish the ‘better’ from the ‘best.’ So, what criteria do professional pilots look for when choosing an FBO and what amenities do pilots and clients appreciate? Landing, ramp fees, fuel prices, and various other expenditures will influence pilots’ choices when deciding upon an FBO, but not all private jet operations are influenced solely by cost. Equally important to many is how well the staff are trained and if the FBO exhibits an exceptional level of customer service. 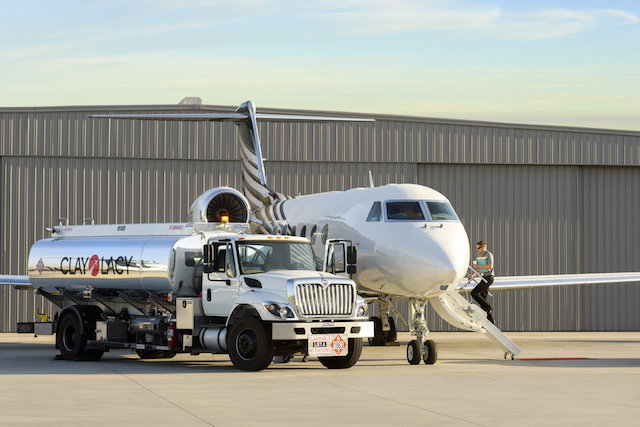 Pauline Ranjbar, a Client Services Representative at Clay Lacy Aviation in Los Angeles says, “A FBO is really about the people.” It’s the added smile or personal touch that makes the difference for guests and crews. “At Clay Lacy, we strive for friendly professionalism and are committed to going above-and-beyond in our interactions with all of our clients,” Pauline continues. Which FBO Is The Best? There are many FBOs to choose from that offer similar services and support for private jet clients. To assist with determining which locations are the best; various surveys are conducted and awards given for excellent services, staff, and facilities. This year, Clay Lacy has the opportunity to win the vote for many categories related to our FBO and wonderful team. There are three different avenues through which you can vote for the best FBOs and private jet support teams across the nation. To vote, mail in a ballot that is found in Professional Pilot Magazine. If you are not subscribed to Pro Pilot, you may sign up for a free subscription by clicking here. Voting for the Professional Pilot PRASE survey is open from November 1, 2017- March 6, 2018. The AIN FBO Survey offers FBOs awards in line service, passenger and pilot amenities, facilities, and customer service representatives. Voting remains open year around. To cast your free vote, simply go to the AIN Website and register. FltPlan Pilots’ Choice Awards offers pilots the chance to voice their opinions regarding what FBO is the best in the United States— as well as pick the best FBOs in specific regions in the country. Dates for 2018 voting are to be determined, but you may sign up for a simple reminder notification so that you may cast your vote. Visit Clay Lacy’s FBO voting page for direct access to vote for your favorite FBO and private jet support team.